Football season is almost here and my two sons wanted me to make them chili. I remember having parties in the parking lot of Mississippi State University back in 1975. Go Bulldogs! We had chairs, tables, ice coolers, and the tailgates were all down. So, this isn't southern chili but it's some of the best chili I have made in a long time. There are many of flavors going on in this chili and the combination makes for a mean dish. After 2 hours, taste, and adjust salt, pepper, and more chili powder if necessary. 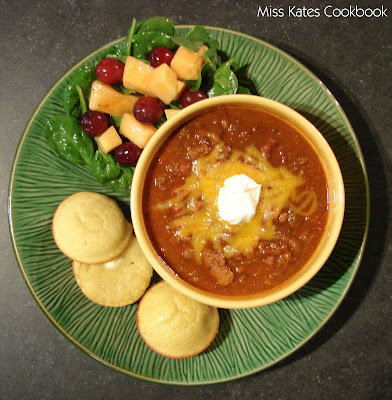 The longer the chili simmers, the better it will taste. 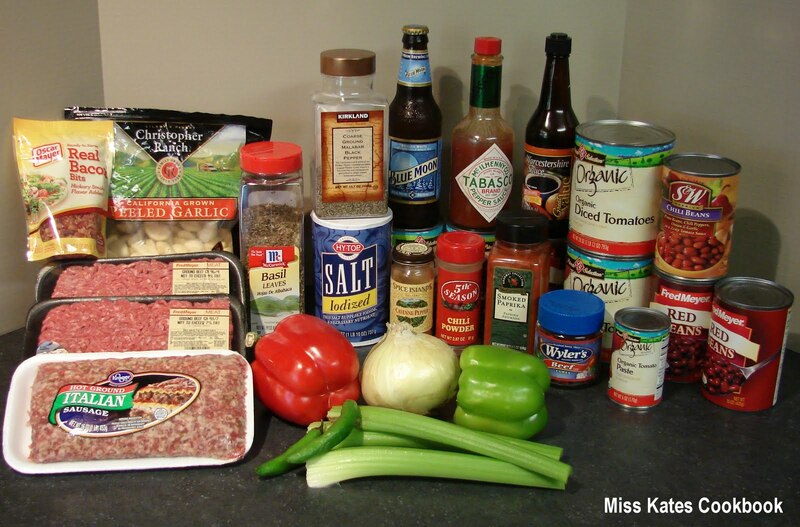 Remove from heat and serve, or refrigerate, and serve the next day. 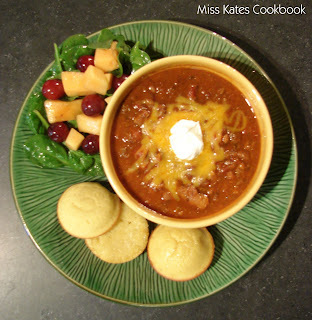 To serve, ladle into bowls, and top with sour cream and shredded Cheddar cheese. Bon Appetite ! The salad is spinach, purple seedless grapes, and cantaloupe in Kraft's Raspberry Vinaigrette.